The budget for living on campus is around RMB 55 to RMB 120 per day, depending on the type of room and charging standards of the university. If you don't feel like living on campus, you can choose to rent a room near your campus or join a local homestay family. Most of the universities will allow foreign students to live off campus while you have to inform the university and get the permission from the university first before you make the arrangement. Local listings in English are typically available on expat community websites (a sample of which are listed below). Just be aware that most housing ads you find are posted by agents who may charge an agent fee when you sign the contract (typically one month’s rent) and who may not speak English. As with anywhere, rent various considerably depending on location and the condition of the apartment. Browse the listings first to get a sense of local prices, then try your hand at bargaining! 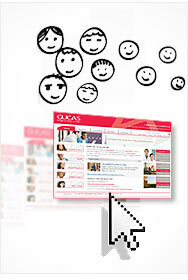 If you need help from SICAS, please email to service@sicas.cn. Notes: The price varies depending on the condition of the apartment, facilities/furnishings, and especially the location. Those who want to rent accommodation outside campus should be familiar with the following procedures as they involve your visa/residence permit and the legality of your stay in Guangzhou. Before making your decision to rent, you need to negotiate the rent, and whether the tax is included or not. Bills are usually not included but some apartments in Guangzhou are heated for free by the government during the winter months. Most landlords require that tenants pay three months rent plus a deposit of one month's rent in advance. Some ask tenants to pay half a year's rent or even one year’s rent plus the deposit of one month’s rent in advance. Be wary if they ask for an entire year's rent up front and make sure you get a receipt. Before you sign the contract, ask to take a look at the original property ownership certificate. If the landlord refuses to show you his/her property ownership certificate or just shows you a copy, then you have to be alert. Generally, the landlord will prepare two identical contracts, which includes the apartment's basic information, household appliances, etc. Before signing the contact, the landlord will show you his/her identification card, and he/she will look at your passport So you will sign your name along with your identification/passport No. together. After you sign the contract, the landlord will give you the house key along with one of the contracts. The landlord needs to pay taxes first, and then he/she will take you to the police station for registration. Make sure you bring your passport. The landlord should prepare his/her identification card, original/copy property ownership certificate, lease agreement, tax list. After all of above are done, you will legally registered to live in the property. When your lease expires your landlord should notify you one week in advance, and he/she will check the house for damages. If something is destroyed or the room is dirty, he/she will deduct money from your deposit before returning the remaining amount. 1. Fill out the homestay/au pair application form (click to download 下载表格) and send it to service@sicas.cn. 2. SICAS will reply you within 10 working days on arranging a homestay family depends on applicants’ requirement.